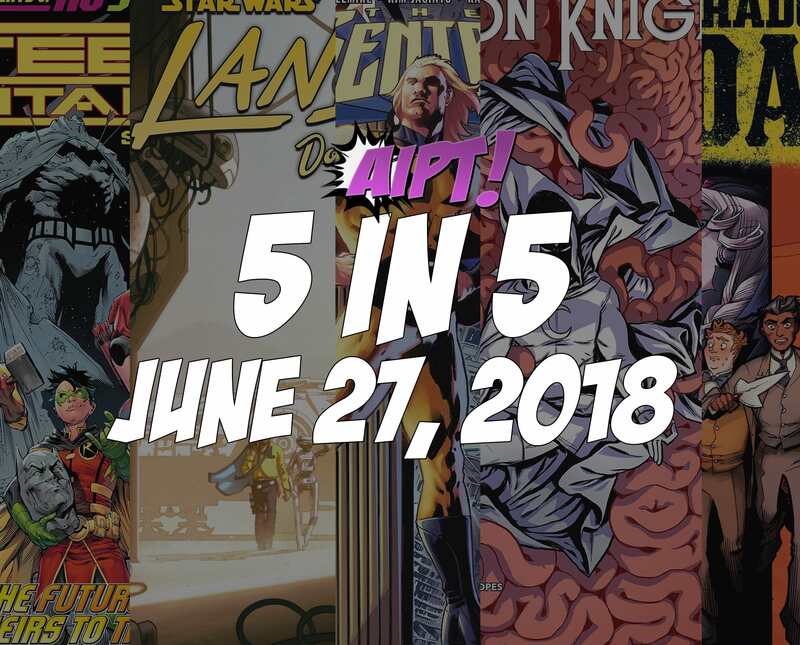 June 27, 2018's 5 in 5: The five comic books you should buy this week – AiPT! It’s a huge week Marvel Comics. Which ones made the cut? We’re back with 5 in 5 this week to highlight the best and brightest comics out June 27th, 2018. This is a Marvel Comics heavy week with 3 out of the 5 choices coming from the publisher. That includes Moon Knight and Sentry, both of which are characters who have lost their mind at one point or another! Rounding out the list is Teen Titans Special #1 which has huge implications on the future of the DCU, and Shadow Roads #1 from Oni Press. Let us know what you think and thanks for watching! As always, if you like our 5 in 5 videos, be sure to subscribe to our YouTube channel, like, comment, share, and most importantly, keep watching and enjoying them!